The London Knights season came to an abrupt end Tuesday night in game seven against the Guelph Storm. Despite being up 3-0 at the start of the series, the Knights were unable to claim the Western Conference semi-final title, with the Storm winning 6-3 and moving on to face the Saginaw Spirit in the next round. 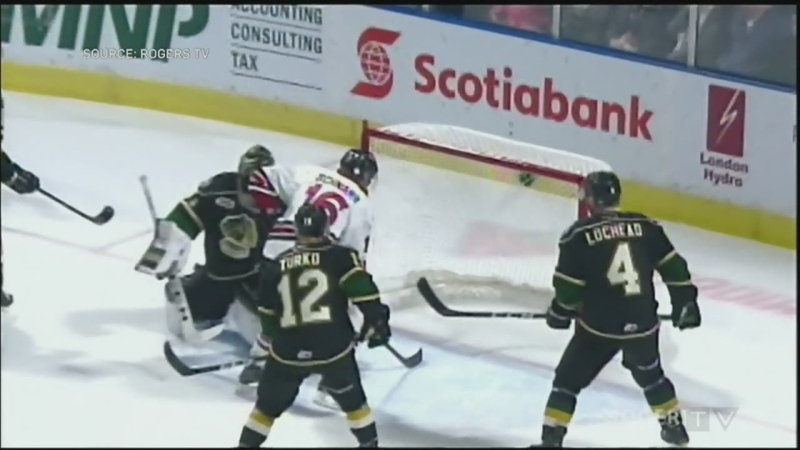 The London Knights are just the 12th OHL team to blow a 3-0 series lead. Forward Liam Foudy says seeing that series lead erased was a tough way to end the season. “Just like last year when we got swept in the first round, that built us all stronger for this year for this year’s playoffs, made us better, and I think it’s something you learn from,” Foudy says. Knights fan David Webb says he thinks the team didn’t have enough energy to keep going. Orv Parks is also a Knights fan and says he will be turning his attention to NHL playoffs now that London has been knocked out of the post-season. “We knew that this series against Guelph would be a tough series, but we didn't expect them to fall so quick,” he says. Foudy says the last four games were some of the “toughest hockey” he’s ever played. Alex Formenton, who scored 18 points in the post-season, says the loss was a tough one to swallow. “Obviously we’ve got a pretty tight group here and work for each other, but you know it’s not the result that we wanted and I think the fans and everything else deserved better, but that happens sometimes and we’re going to learn from it,” Formenton says. It’s not just players and fans who are disappointed by the loss. J Dee’s Market Grill owner Jim Davies says another round of playoffs would have meant more business. Davies says business has been great, but fans were deflated after Tuesday night’s loss. “After the game there wasn’t much going on here. People were disappointed and they just went home for the most part. We had a few people in…but it wasn’t jovial,” Davies says.